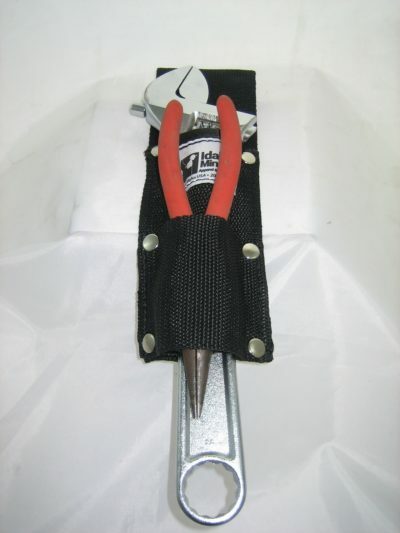 Heavy duty material is used for these tool holders that loop through your belt. The holder with 2 hoops has rivets for extra strength. Does NOT include tools shown in photographs. We make lots of different sizes, but these are our most common. If you need something else along these lines, drop us a note and let us know. We’re great at custom projects.